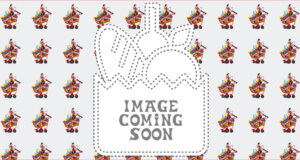 Begin cooking from frozen state. 1. Heat 3 tablespoons of vegetable oil in a large trying pan (9″) on medium-high heat. 2. When the oil in the pan heats up but is not smoking, add the potatoes, spreading them flat on the bottom of the pan. The potatoes should be stacked in the pan no more than 1/2″ thick. 3. After 4 to 7 minutes, lift up one edge of the potatoes to check for doneness. If golden brown, they are ready to flip. 4. Use a large spatula to flip the potatoes over all at once, or divide the large potato cake into halves or quarters and flip. 5. Continue to cook an additional 4 to 7 minutes, until they are golden brown on the bottom. Even if you arrange the hash browns no more than 1/2″ thick in the pan (as instructed), you’re still going to risk having the inside of your potatoes under-browned. We recommend breaking the browns up with a spatula a few minutes after you flip them. This will allow the inside to cook a bit more. Also, the instructions oddly do not mention adding any salt, pepper or any spices – resulting in a somewhat bland dish. Adding spices (to taste) will greatly improve your satisfaction. And if you want to add some butter for flavor during the last few minutes of cooking, you’d be in for a treat. NOTE: As always, be careful when adding frozen foods to hot oil. We were excited to give these Hash Browns from TJ’s a try, as we’re always looking for ways to liven up our breakfast. Plus, we wanted to see if they would make for a good breakfast burrito add-in. We’re happy to report that they excelled on both fronts! These Browns cooked up quick and easy, and the result was crispy and tasty. There are a ton of uses for these Shredded Hash Browns, and we definitely recommend you experiment with their versatility. For example, they’re delicious as a bed for a poached egg drizzled with hollandaise sauce, and they add some toss welcome texture and zing when tossed into an egg sandwich or burrito. Note: we recommend you take a look at our “Cooking Notes” in the tabs above though – you’re going to want to bring your own spices into the equation, or you might find the flavor lacking a bit. 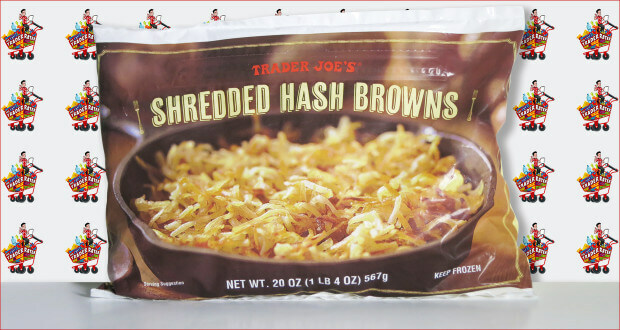 All told, we were very pleased with these Shredded Hash Browns from Trader Joe’s, and we’ll be sure to keep them on hand in our freezer for when we want to get a little adventurous with our breakfast. 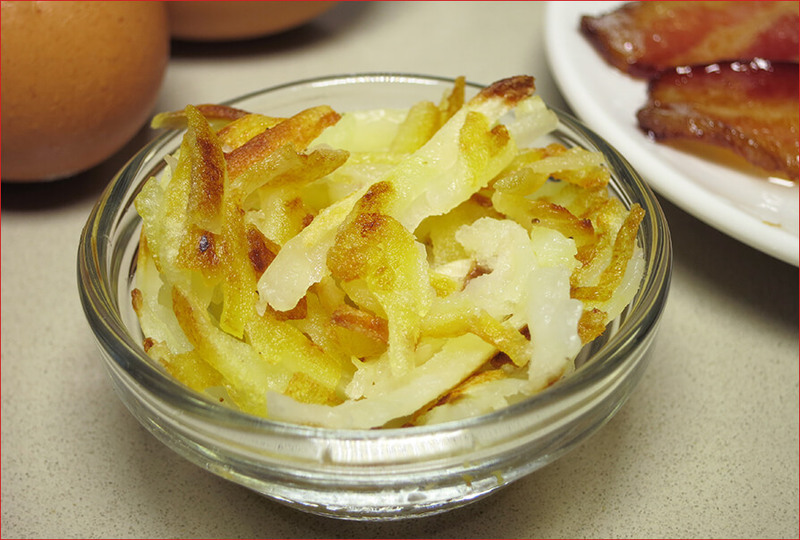 Summary : We were very pleased with these Shredded Hash Browns - they were easy to cook and they added welcome texture & flavor to our morning routine.